Railway Equipment Services, Inc. specializes in hauling track equipment. Our drivers are trained to handle railroad machinery and construction equipment. 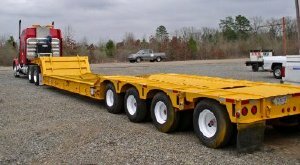 Our Fleet of late-model trucks are equipped with hydraulic folding neck low-boy trailers designed to load/unload rail mounted equipment directly onto railroad tracks. 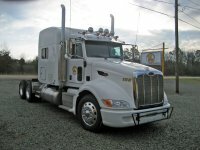 The freight-hauling industry has become crucial to the production of every company. There are many trucking companies out there, but here at Railway Equipment Services, Inc., we specialize in a specific area...Rail Equipment! However, we can haul nearly any kind of equipment you may have. Let us help you with your transportation needs. If you would like us to haul your purchase to your job-site location or shop, we can provide you a quote and save you money in the process! We can also handle asset disposition. If your company has a need in this area, we would be glad to help you. No matter what your need(s) are, we will do our best to offer assistance to you.